I honestly wish I needed more Broyhill Sculptra furniture, because one of the biggest lots I've seen in a while just came up for sale. 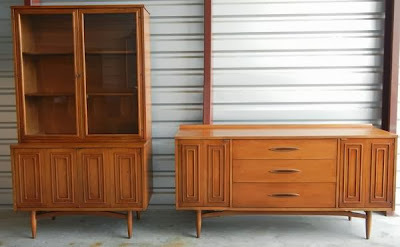 If you're looking for Broyhill Sculptra for sale in Austin, hit craigslist soon. 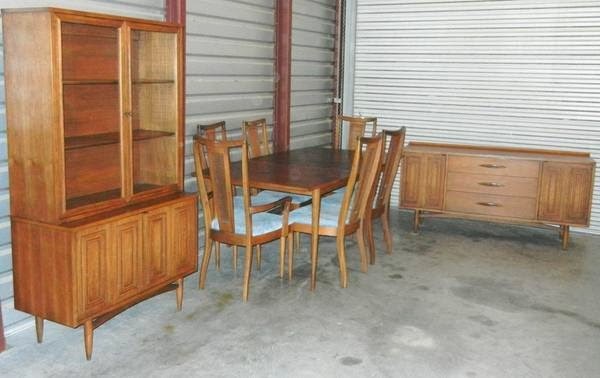 I am fairly certain that that table and chairs are not from the Sculptra line. 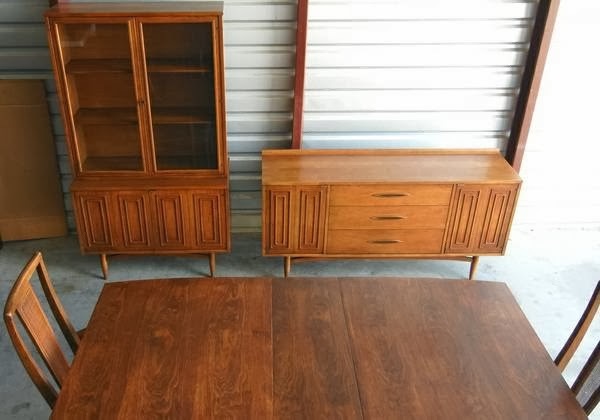 It's a great set either way. 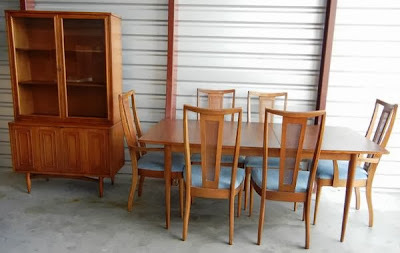 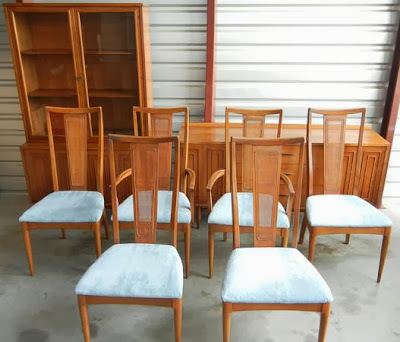 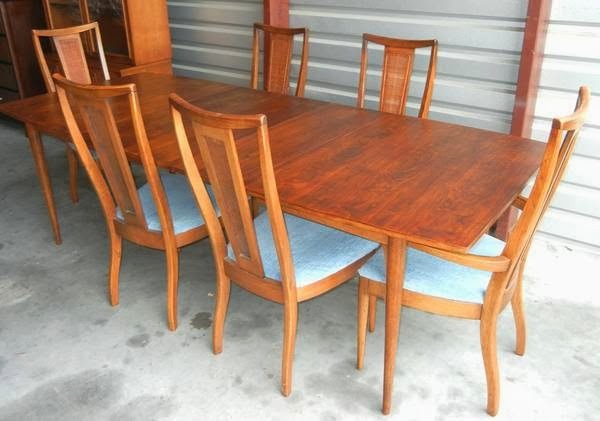 I was iffy about them, but they're got the right shape and I've seen other Broyhill furniture where they manufactured it with wicker in place of solid wood; Brasilia chairs specifically, which makes them not as pretty. I think that's what's going on with the chairs. 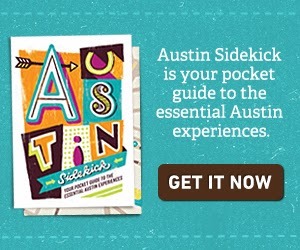 I'd definitely check for a makers mark if I was going to pick them up though.